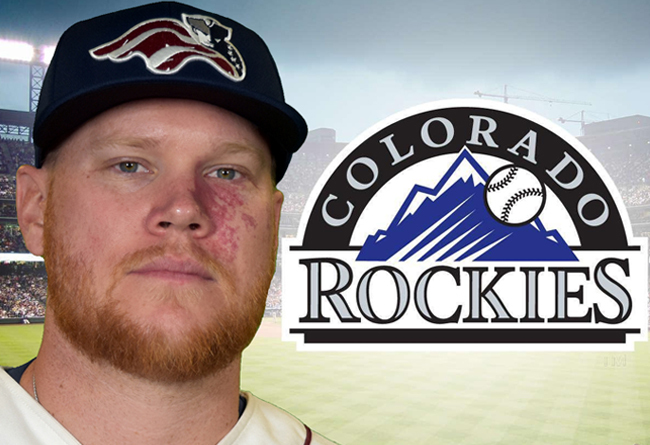 (Bridgewater, N.J., April 24, 2018) - The Somerset Patriots have announced that left-handed pitcher Brett Oberholtzer’s contract has been purchased by the Colorado Rockies. He is expected to report to Triple-A. Oberholtzer was scheduled to be the team’s Opening Day starter in his first season with the Somerset Patriots. The 6’1” southpaw has four years of service in the Majors, including three with the Houston Astros (2013-15) and one split between the Philadelphia Phillies and Los Angeles Angels of Anaheim (2016). In his first season with the Astros, Oberholtzer posted four wins and a 2.76 ERA over 13 games (10 starts) with two complete games and one shutout. Additionally, he only walked 13 batters over 71.2 innings of work. Oberholtzer is the second Somerset Patriots player to have his contract purchased already this spring, joining right-handed pitcher Scott Copeland (New York Mets, Double-A).